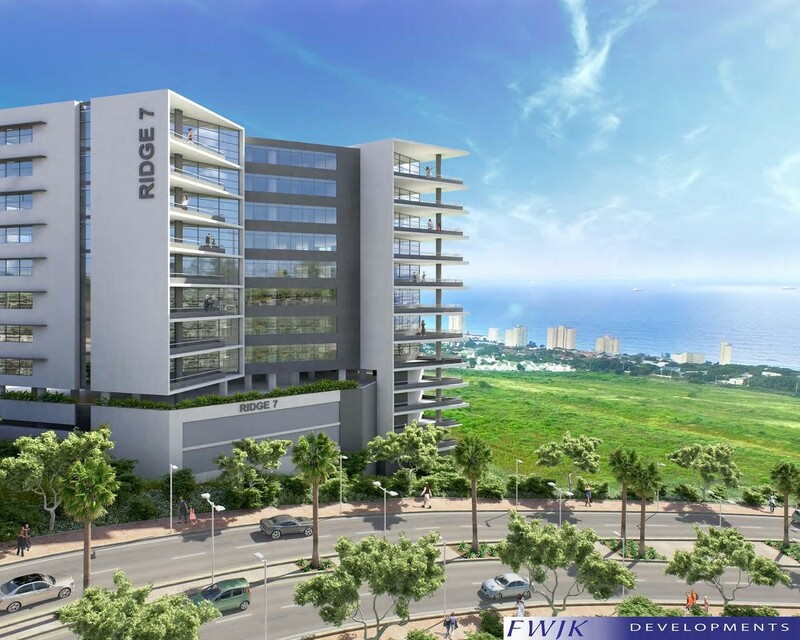 Ridge 7, In the Umhlanga Ridgeside Office Precinct will comprise 8,000sqm of prime A Grade office space. Parking is provided at the rate of 5 bays/100sqm of usable area. The building is designed with a signature cafe on ground floor for the enjoyment of its tenants and their clients alike, as well as an entertainment area on level 4 which could be used for private functions. Situated in the newest Ridgeside Office Precinct, the site enjoys dramatic panoramic sea views, with most office suites opening out onto balconies. The architecture is crisp, clean, modern, and most importantly, timeless. 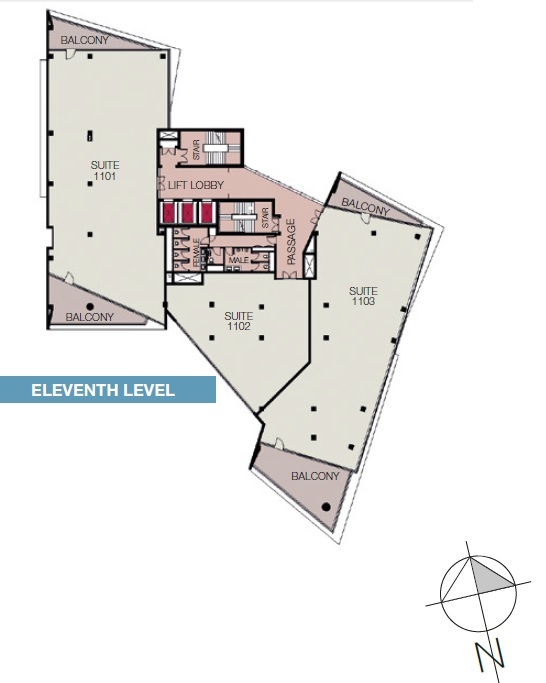 The office layout has been optimised to maximise flexible office space planning. The design layout achieves a design efficiency ratio (rentable / usable) of 91% in reducing costs whilst increasing efficiency. Located a short 20km from King Shaka International Airport, it is ideally situated for business trips abroad. 15km from Durban's CBD, and within walking distance from Gateway Shopping Centre. The building can be approached from a multitude of routes, with easy access to the M4, M41 and N2.